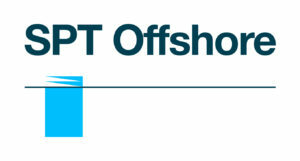 SPT Offshore is the world leading offshore (EPCI) contractor and design consultant specialised in suction pile foundations and Self Installing Platforms (SIP). SIPs are independent of heavy lift crane barges and offer scheduling flexibility for the development of oil and gas fields and offshore wind farms. SPT Offshore also provides design, manufacture and installation of suction piles, Suction Pile Clusters (SPC) and Suction Embedded Anchors (SEA) for the mooring of floating units, subsea structures and pipelines.